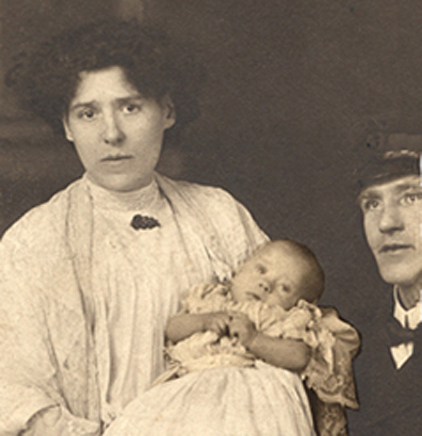 In 1909 Jack and Emily Ruff and their new born baby Grace moved from Wedmore Gardens to nearby Kingsdown Road. Sadly Grace died in December 1909 at home of Tubercular Meningitis. Because Emily's husband was at sea in the Royal Navy her sister Adelaide who lived nearby at107 Devonshire Road registered the death. The photo bottom left shows Kingsdown Road present day. 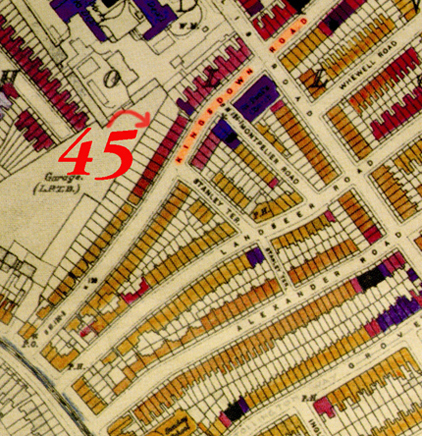 Number 45 was bomb damaged during WW 2 which resulted in section of several houses including number 45 being redeveloped as a small block of flats which can just be seen on the right of the picture. The houses on the left give an indication of the style of house the Ruff's lived in. 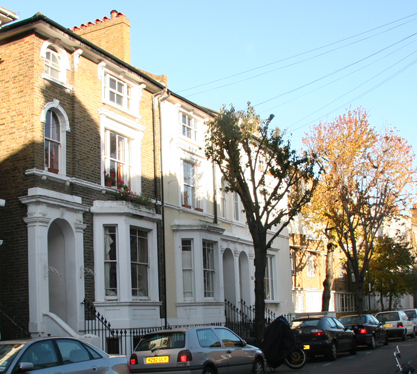 Adelaide Musgrove who was now 23 was now living at 107 Devonshire Road Upper Holloway. 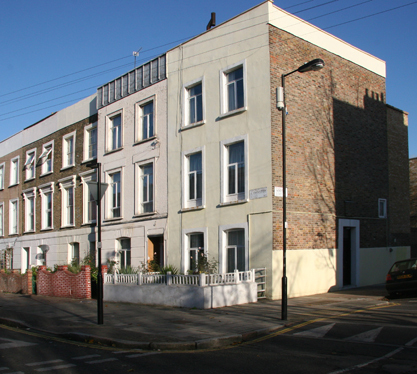 The photo bottom right shows the house present day. The name of the road has changed from Devonshire to Axminster Road. It is probable that Adelaide's youngest brother Rupert who was now aged 17 was also living at this address.